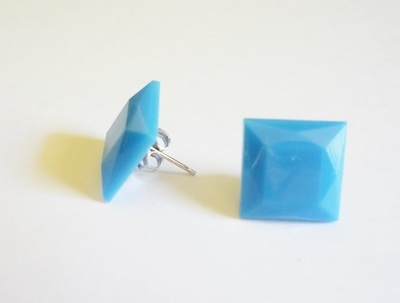 All of our stud designs are uniquely handmade and silver/ gold plated stud backing that are simple to put and remove. 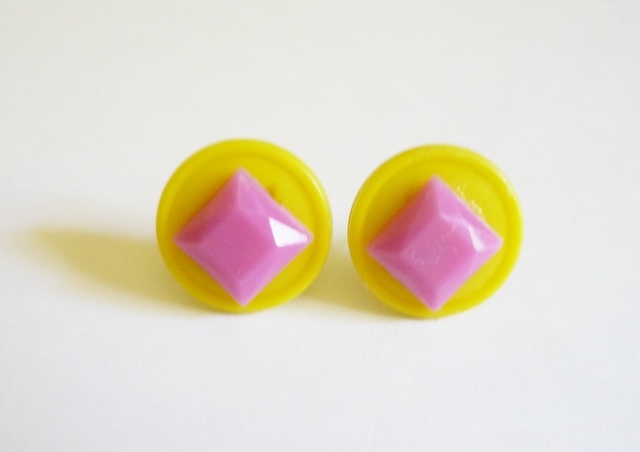 We have so far designed designed a playful collection that are fun to wear with any outfit, and bring brightness and sparkle in your normal day. 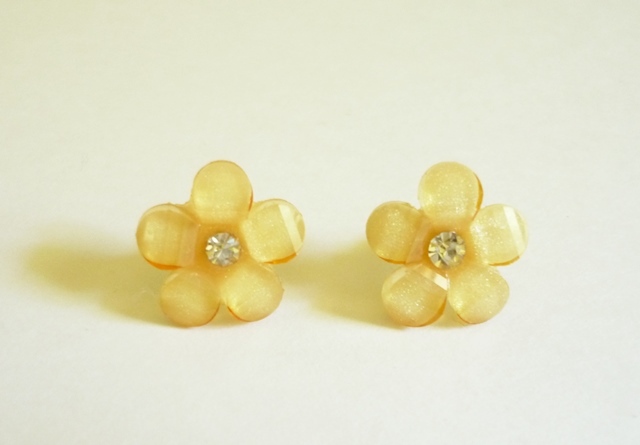 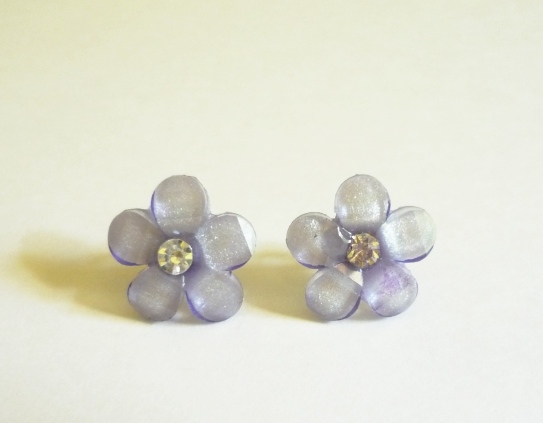 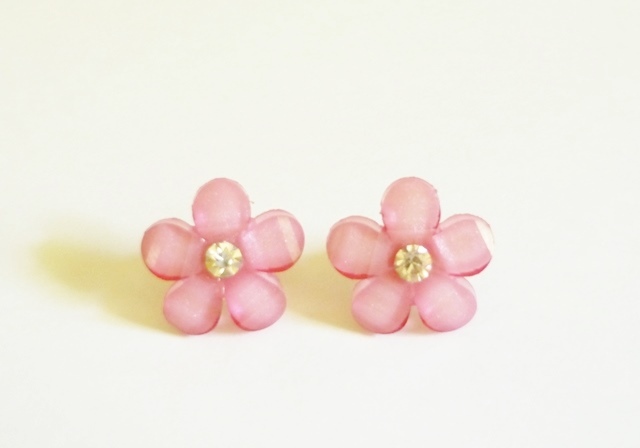 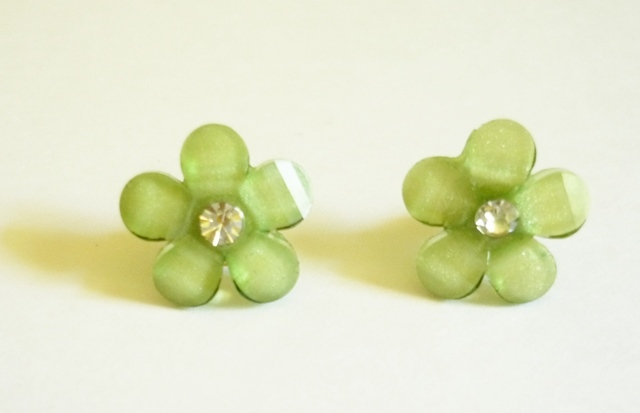 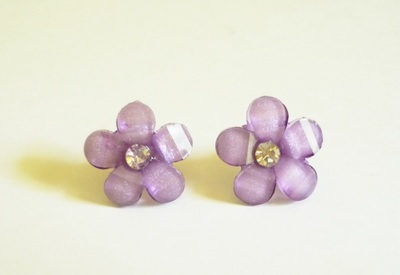 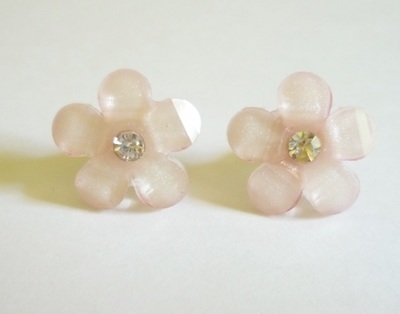 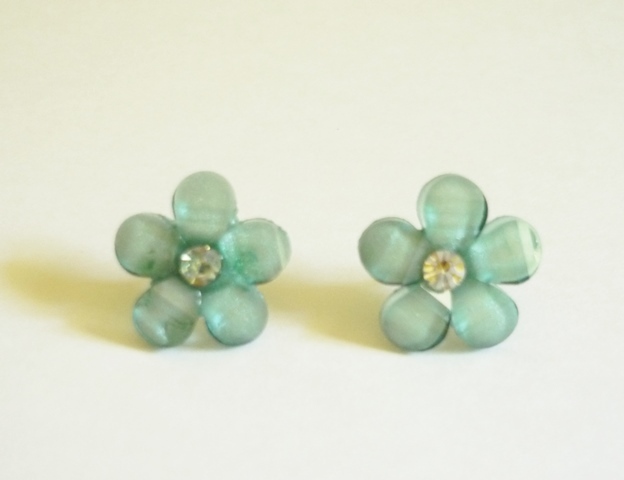 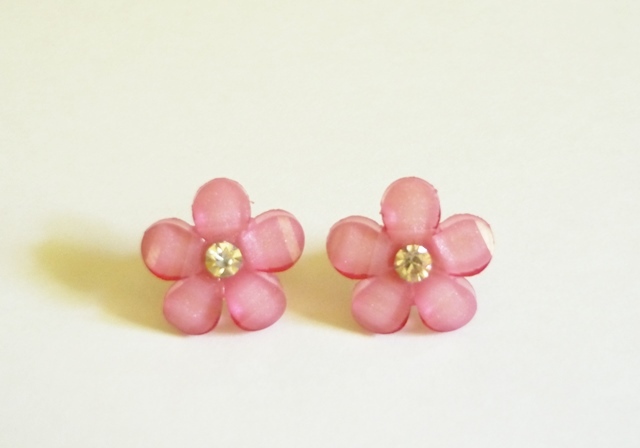 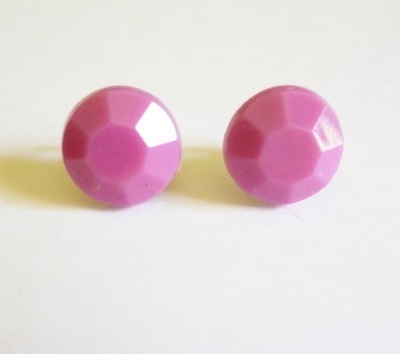 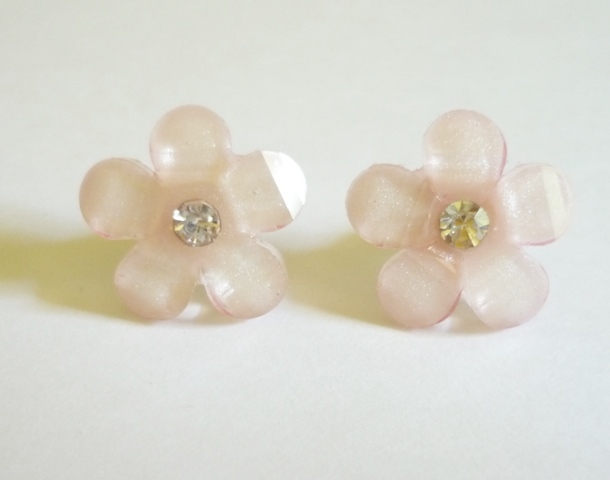 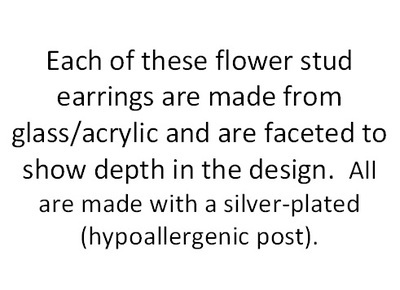 To view other color options for flower studs. 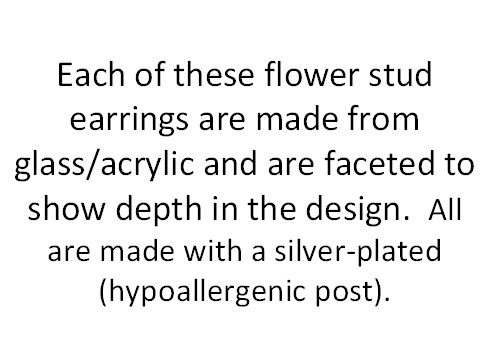 Click on any of the images below. 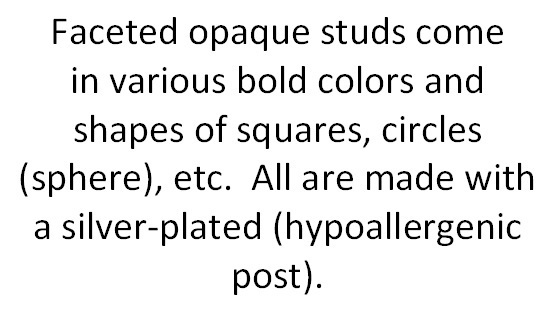 To view other color options for faceted opaque shapes, just click on any of the images below. 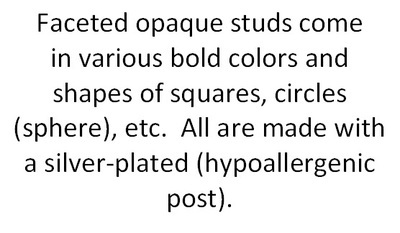 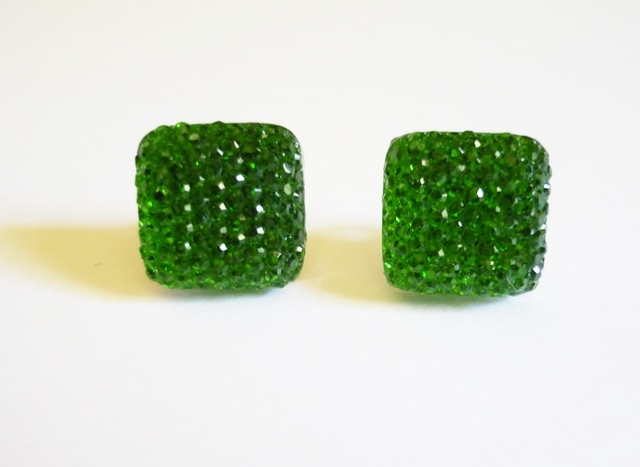 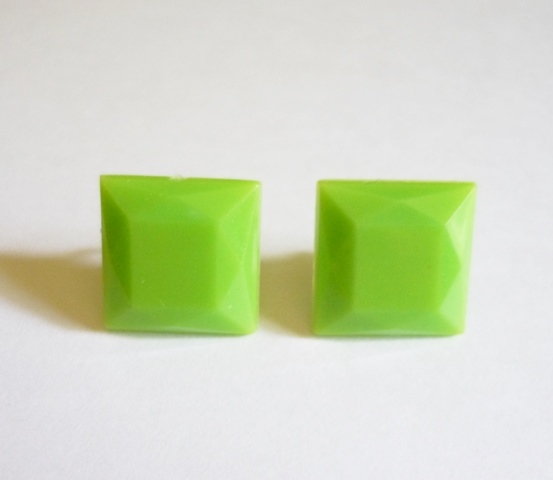 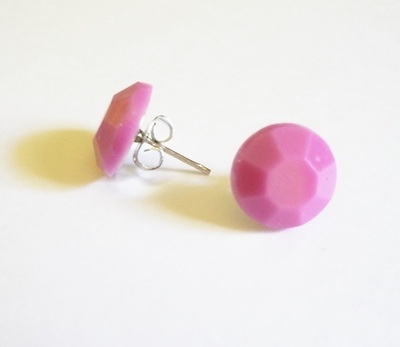 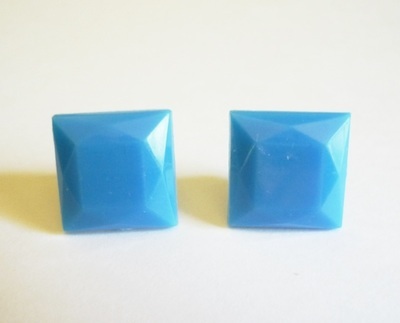 To view other color options for unique studs designs, just click on any of the images. 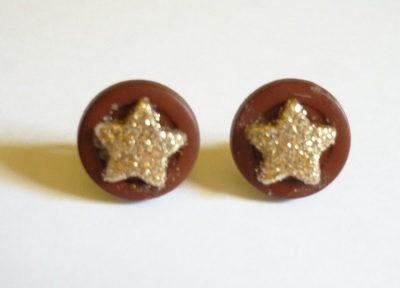 Description: Each of these studs are uniquely made and stylish. 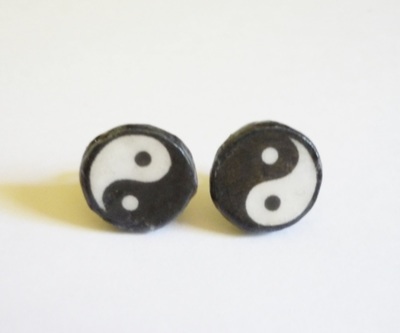 The are made with either a silver or gold plated stud piece.